Interpreter of the Masora; flourished in the middle of the eighteenth century at Kalwaria, in the government of Suwalki, Russian Poland. 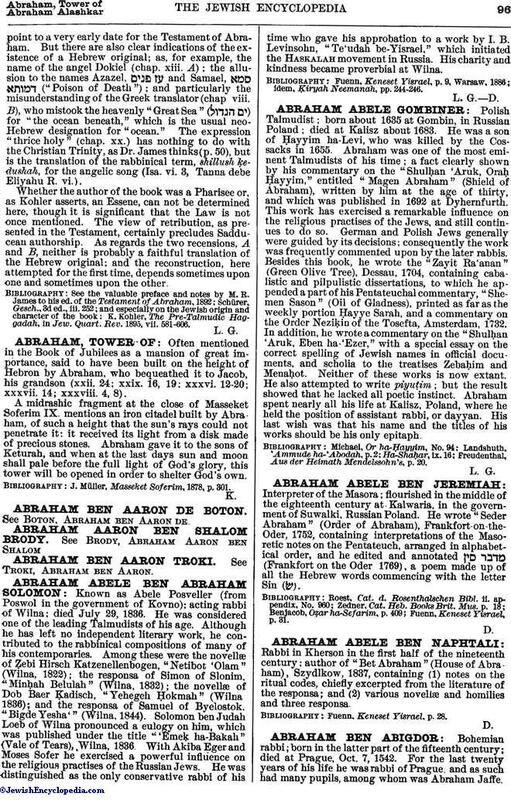 He wrote "Seder Abraham" (Order of Abraham), Frankfort-on-the-Oder, 1752, containing interpretations of the Masoretic notes on the Pentateuch, arranged in alphabetical order, and he edited and annotated (Frankfort on the Oder 1769), a poem made up of all the Hebrew words commencing with the letter Sin (ש). Fuenn, Keneset Yisrael, p. 31.